Marijn has more than 10 years of experience in West-African drumming working with great masters like Mamady Keïta, Sidiki Camara and Ibrahima Sarr (djembé, dunun, Khassonké, N'goni, Balafon). Numerous workshops and trainings over the years in Didgeridoo, ethnic flutes, guitar, etc ... give him the opportunity to give you solid support in your musical journey. Juanita is a skilled singer and also plays several ethnic instruments and the guitar. No sheet music but 'feel' with your whole body, not just listen, but let the music, the rhythm come in and become a you channel for the music that is everywhere around, and filter it through your unique antenna: your body and spirit. You have a unique way to translate the music through your body, your emotions, your story ... This is the foundation for the music lessons we give. These sessions can be attained individually or you can meet with a few people to book a session in small groups. 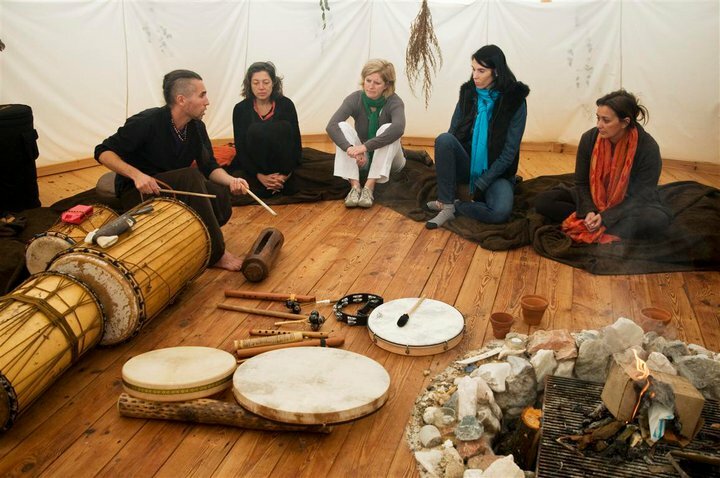 You can also take on the Soundhealing formation where you’ll learn to play a wide range of native and ethnic instruments. Rhythm is the application of structure in the endless creative field of sound. A basis for playing any other instrument. I provide a djembé for you and help you obtain more structure in your life through the effective and yet subtle teachings of rhythm. Besides private lessons you can attain our group sessions. Learning to make music from your intuition, for people with or without musical experience! Surprise yourself, let yourself be moved, feel relaxation and new inspiration flow through you. Learning to listen to spontaneous impulses. To learn to trust your natural intuition more. You feel carried by the creative flow that moves through you and plays your unique talents. You choose from an arsenal of instruments (drums, flutes, shrutibox, bells, singing bowls, hang etc), that instrument that calls you, the sounds that resonate with your state of mind at that moment. 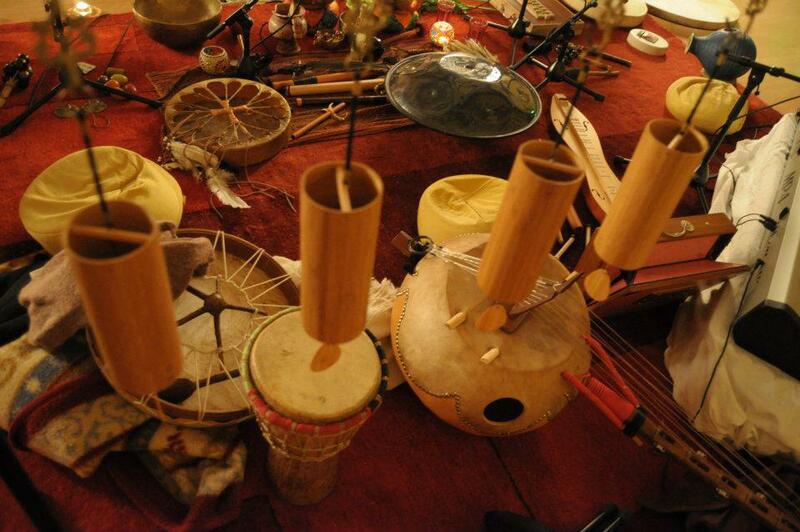 On this instrument you translate your feeling into creativity and feel the inspiration to descend. You communicate very intuitively with your instrument. Spontaneously there are melodies and perhaps a song is bubbling on it. The didgeridoo originates from North-East Arnhem in Northern Australia. Traditionally the didgeridoo is used as an instrument for guidance of dance ceremonies. Just like for example the Djembe in West Africa. This hollow blowpipe is a eucalyptus trunk that has been hollowed out by termites. Playing the didgeridoo requires a special breathing technique: circular breathing, where you use your mouth as a bellows and there is no interruption in the sound during inhalation. During these workshops I teach you the technique of blowing (placement of the lips, and the strength of the blowing), as well as the technique of circular breathing. There are many other techniques in which sounds of animals are imitated as well as trumpet sounds that can be learned at a later stage. The sound of the didgeridoo is very rich in overtones and with its low vibrations it is a very healing tool to play above a person's body. The way of breathing and the constantly deep sounds of the instrument ensure that you as a player easily in a meditative inspirational state or light trance. If you do not have a didgeridoo yet, I provide one for you to use during the lessons. For the workshops in group I use plastic tubes as practice material, these are extremely suitable. My father taught me to play guitar, it was my first instrument and I have always continued to play it through the years. The soft sound of a guitar along with your voice, makes you instantly turn into a singer / songwriter. I teach you how to play guitar on the basis of chords. Learn to control the spirits of the wind by playing the flute. Feel which sounds and playing technique are the best for you. I can accompany you on Quenna from South America, the Lakota flute from North America, the Peuhl flute from Mali. Lakota Indians always appeals to the imagination when you hear these magical sounds. You can learn this flute very quickly. It is a very intuitive tool that can serve as a translator for your soul language. 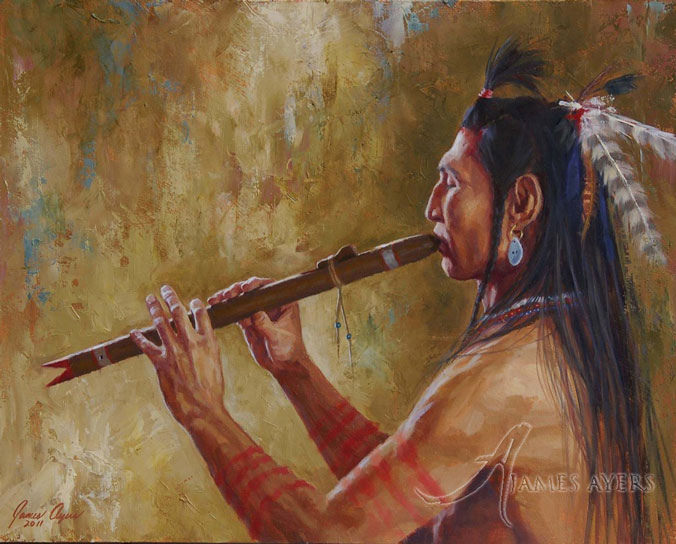 An old saying in the Lakota says about this flute: 'play the horizon'. And that says everything. You look at the vast horizon and play everything you see and feel. At some lessons you will be able to play this flute and you can start playing your unique story on this wonderful flute yourself. The overtone singing is part of our fixed sound healing repertoire. The Tuvian Keelzingen we learned at Nestor Kornblum and Maarten Adriaensen. We would also like to pass on this unique way of using your voice to you. In overtone singing you use a fixed fundamental tone and the positioning of the tongue, throat and mouth creates new tones on top of the fundamental note. 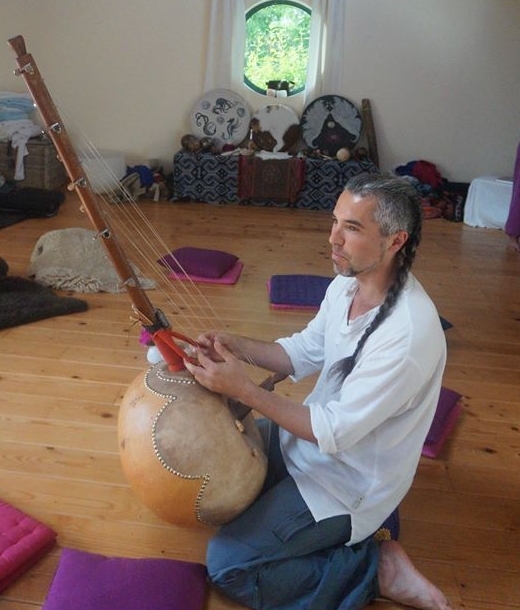 This special instrument, which you can find everywhere in the world (India, Mongolia, Thailand, ...) plays a special role in our sound healing sessions and ceremonies. It touches the higher regions in the Corona in a subtle way. A very complementary musical instrument in addition to the overtone singing. We teach you everything you need to know to start and let this special instrument accompany you on your path. The West-African lute. One of my all-time favourites. An instrument that connects the sky and the earth in your heart and belly.